MOBE and MTTB Review - How Much Does It Really Cost? MOBE and MTTB Review – How Much Does It Really Cost? MOBE has officially been halted by FTC on 11 June 2018. Matt Lloyd, the owner has been charged with bilking more than $125 million from thousands of consumers with a fraudulent business education program called MOBE. MOBE has officially been marked as a scam and terminated. If you’re here for to look for legitimate online opportunity, look into Wealthy Affiliate instead. I’ve wanted to write a comprehensive MOBE and MTTB review for quite some time, since I got involved with it a couple of years ago. My Own Business Education (MOBE) involves a rather big investment, so you should really know what you are getting into. Note: MOBE changed their name from My Online Business Empire to My Own Business Education in 2015, presumably to appear more legitimate and newbie-friendly. In this article you will learn how MOBE really works as a business opportunity, the real price of the program, its commission structure, and whether it’s worth your time and effort. Should You Buy MOBE Memberships? My Online Business Empire or My Own Business Education (MOBE) program, for better or worse, has gained the reputation of being an extremely expensive internet marketing affiliate program. MOBE was founded by an Australian entrepreneur called Matthew Lloyd Mcphee in January 2012, who is more commonly known as Matt Lloyd in his interviews. MOBE started out as a make-money-online system that allowed its partners (affiliates) to license and leverage for commissions. Over the years, Matt has grown his products line under the MOBE company into a large collection of internet marketing programs that allow its partners to license and resell. To better understand MOBE, think of it as an affiliate products marketplace like ClickBank or JVZoo. These platforms allow affiliates to promote digital products and earn commissions for every sale they make. While ClickBank and JVZoo sell lower cost digital products (usually below $100) and allow affiliates to promote their products for free, MOBE sells high-ticket items (up to $29,997 per program) and requires you to pay upfront before collecting commissions. For example, if you want to earn the commissions of a MOBE Silver MasterClass which costs $2,497, you have to purchase the same program first before you start promoting. Otherwise, you will miss out on the commissions made for that sale because you are not qualified to receive it. In this case, your commission will be passed up to your sponsor who has purchased that program in the first place. I’ll explain in details the upfront costs and earning potential for MOBE Program below. But first, let’s look at how it really works and if you should consider buying it. We have to start by talking about My Top Tier Business (MTTB System). What is My Top Tier Business (MTTB) System? 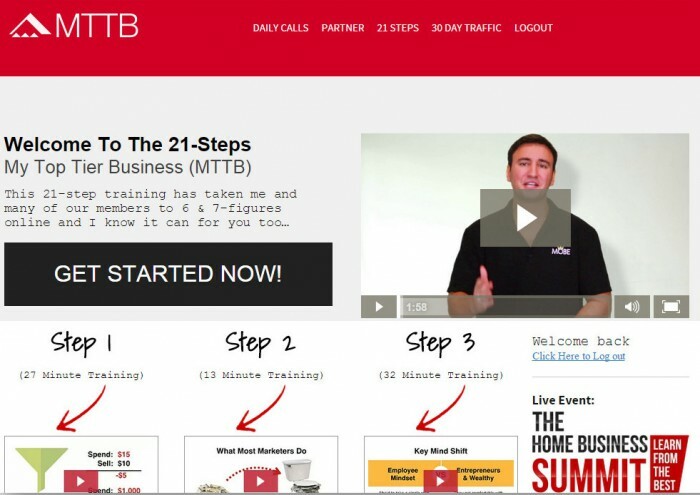 Matt Lloyd has developed a 21-steps training program called My Top Tier Business (MTTB) to teach newcomers on how to start an online business and more importantly, how to become a MOBE partner and affiliate so you can start promoting his products. 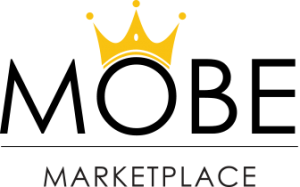 As explained earlier, MOBE is an affiliate marketplace that sells various high-ticket digital products, most of them costing hundreds to thousands of dollars – with the most expensive ones costing tens of thousands of dollars. MTTB is a training program that introduces you to the core products (MOBE memberships, as will be explained below). Once you have purchased MTTB, you will be assigned a coach (who is actually a MOBE salesperson) to guide you through the 21 steps. Throughout the MTTB 21-steps training program, you will be introduced to the ways to sell MOBE core products, starting from the lowest tier membership (Silver MasterClass) that costs $2,497. The catch is, if you want to earn 50% commission for selling these expensive programs to other people, you have to buy the same programs first. Otherwise, you will not receive any commission for the first 5 sales that you make. Even if you do not purchase one of these high-ticket products, you need to pay $19.95/month to stay as an active affiliate and promote other MOBE products. Keep in mind that this is does not include the advertising fees you will be paying to promote MOBE products, which can amount to thousands of dollars a month. This is a deviation from many affiliate marketing platforms that let you promote their products for free, which is part of the reasons why it’s not suitable for beginners. Matt Lloyd has hired a dedicated sales team to help his MOBE affiliates convert their leads into sales. Once you have become a MOBE affiliate, you will start promoting My Top Tier Business system (MTTB) using either paid online ads, email list or even a personal blog. Most affiliates create a landing page to talk about a program that enables them to make huge commissions. If a visitor is interested enough to find out more, they will be redirected to MTTB system and make a purchase. At this point, most of the leads who purchased MTTB has no idea what to expect, and this is where the sales team comes in. They are introduced as personal coaches to guide the newcomers throughout the MTTB training. When the time is right, the personal coach will recommend one of the high-tier memberships and push for a sale. Of course, if your lead makes a purchase, you make a 50% commissions, provided you have purchased an equivalent or higher level membership. The sales team is often needed to convert your leads, because no one will willingly pay a couple thousand dollars for a product unless they are absolutely convinced. Most affiliates who choose to promote MTTB system and MOBE program conveniently leaves out the initial investment required because it is highly prohibitive. This is the reason why I recommend this program to advanced internet marketers only, because beginners who are looking to make their first bucks online simply can’t afford to dump money into ventures like this. If you are looking for a legitimate platform to learn online marketing and start making money online, the free starter membership of Wealthy Affiliate is your best bet. You can also read my full review along with my results. However, if you have sufficient internet marketing experience and a couple thousand dollars to invest, MTTB and MOBE may be worth your time. The table above shows the full costs of the various upsells within MOBE, and you make 50% commission if you manage to sell the same program (or a program of lower tier) that you have purchased. If you choose to buy only the $49 MTTB 21-steps training program and nothing else, you will be paying $19.95/month to stay as a standard affiliate of MOBE. You can promote the higher tier memberships (Silver and above) but you won’t get the 50% commissions for the first 5 sales of that level. For example, if 5 of your leads buy the Silver MasterClass while you are a standard member, your 50% commission is passed on to your sponsor (i.e. the person who referred you into MOBE program). 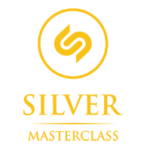 You will be converted to the Silver MasterClass when you have successfully referred the 6th person who buys the Silver level. Of course, I have not factored in the costs required to run your online ads and to promote MTTB and MOBE programs, so there will be additional costs incurred in addition to the $19.95/month standard membership fees. Things are different if you are an experienced marketer with popular blogs that attract the right target audience. You may be able to generate multiple leads a day that quickly grant you a higher membership status without having to purchase them. $49 MTTB cost + $19.95/month membership fees = $49 up-front + $19.95/month. Not including advertising fees. $24.50/lead for MTTB program. You don’t get any commissions if your leads convert to Silver MasterClass and above, at least for the first 5 leads. Also known as the MOBE License or Silver MasterClass, this membership costs $2,497 on top of the MTTB training program ($49), monthly membership fees ($19.95/month) and inner circle membership ($27/month). It is an 8-modules online training program that shows you how to choose the right business model based on your strengths and weaknesses, and how to select the right niche that can work for you. The Silver Inner Circle Membership costing $27/month provides monthly newsletters, which include business setup tips to increase your probability of success. These newsletters are delivered in both print and PDF formats. Of course, the training program itself is hardly worth $2,497, as the real value of this membership lies in the license rights that enable you to resell the Silver MasterClass to other people and make 50% commissions repeatedly. For MOBE products that cost less than $500, there is a chance to earn 90% commissions only on selected products. The full list of products and commissions can be found here. If you promote the Silver MasterClass, you will make $1,250 commissions for every lead that buys the same level of membership. However, if your lead purchases Gold Membership or above, you will not make any commission because your level is lower than Gold. If you manage to sell the Silver Membership without any help from MOBE’s sales team, you make $1,625 commissions for every sale that you make. $49 MTTB cost + $19.95/month membership fees + $2,497 Silver MasterClass + $27/month inner circle fees = $2,546 up-front + $46.95/month. Not including advertising fees. $1,250/Silver lead for assisted sales, $1,625/Silver lead for non-assisted sales. The Gold MasterClass costs $4,997 on top of the MTTB training program ($49), monthly membership fees ($19.95/month) and inner circle membership ($64/month). It is an 8-module online training program that teaches the way of building a 6-figure business to consistently generate sales. It includes a structured customer acquisition process and templates to generate online sales. The Gold Inner Circle Membership costing $64/month provides monthly newsletters on marketing and sales content to improve your customer acquisition process, complementing the MasterClass modules. Newsletters are delivered in both print and PDF formats. 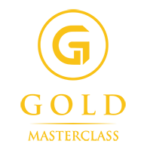 If you purchase the Gold MasterClass, you will be granted access to Silver MasterClass as well. This applies to all the other levels of memberships – once you purchase a higher tier, you are granted access to the lower tier products. Similarly, the same principle applies to membership commissions. If your lead purchases Gold MasterClass or below, you will make 50% commission off the price of the product. For every Gold MasterClass that you sell, you make $2,500 commissions. If you manage to sell the membership without assistance from MOBE sales team, you make $3,250 commissions. $49 MTTB cost + $19.95/month membership fees + $4,997 Gold MasterClass + $64/month inner circle fees = $5,046 up-front + $83.95/month. Not including advertising fees. $2,500/Gold lead for assisted sales, $3,250/Gold lead for non-assisted sales. 50% commissions for membership levels below Gold MasterClass. The Titanium MasterMind costs $9,997 on top of the MTTB training program ($49), monthly membership fees ($19.95/month) and inner circle membership ($121/month). While the first 2 levels of memberships focuses on online training and modules, the Titanium MasterMind focuses on both training and networking. With the membership, you are entitled to attend a 3 days, 4 nights mastermind and network sessions with other successful affiliates of MOBE. Hotel stay, food, drinks and entertainment costs are covered. If you wish to bring a guest, you can purchase a guest pass at $600. 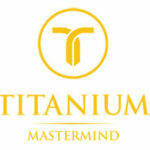 To attend subsequent Titanium MasterMind events, you will have to pay $3,500 per person. The Titanium Inner Circle Membership costing $121/month provides advanced online marketing training for next-level entrepreneurs. Newsletters are delivered in both print and PDF formats. You also get access to “Ask the Expert” marketing series in the form of monthly interviews with successful affiliates on internet marketing strategies and business building techniques. Series is delivered in audio CD. For every Titanium MasterMind that you sell, you make $3,300 commissions. If you manage to sell the membership without assistance from MOBE sales team, you make $4,800 commissions. $49 MTTB cost + $19.95/month membership fees + $9,997 Titanium MasterMind + $121/month inner circle fees = $10,046 up-front + $140.95/month. Not including advertising fees. $3,300/Titanium lead for assisted sales, $4,800/Titanium lead for non-assisted sales. 50% commissions for membership levels below Titanium MasterMind. 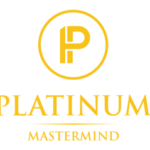 The Platinum MasterMind costs $16,667 on top of the MTTB training program ($49), monthly membership fees ($19.95/month) and inner circle membership ($198/month). With the Platinum MasterMind, MOBE extends your stay to 5 days, 6 nights retreat for lessons and networking sessions with top MOBE affiliates and wealth creation experts. The mastermind focuses on wealth creation, asset protection and personal development to suit the needs of MOBE affiliates who are operating at this level. If you wish to bring a guest, you can purchase a guest pass at $810. To attend subsequent Platinum MasterMind events, you will have to pay $5,000 per person. The Platinum Inner Circle Membership costing $198/month includes monthly newsletters on advanced wealth creation and asset protection strategies to complement the Platinum MasterMind program. You also get “Ask the Expert” series that focuses on investment and asset protection, on top of the internet marketing series provided in Titanium MasterMind. For every Platinum MasterMind that you sell, you make $5,500 commissions. If you manage to sell the membership without assistance from MOBE sales team, you make $8,000 commissions. $49 MTTB cost + $19.95/month membership fees + $16,667 Platinum MasterMind + $198/month inner circle fees = $16,716 up-front + $217.95/month. Not including advertising fees. $5,500/Platinum lead for assisted sales, $8,000/Platinum lead for non-assisted sales. 50% commissions for membership levels below Platinum MasterMind. The top-of-the-line Diamond MasterMind costs a whopping $29,997 in addition to the MTTB training program ($49), monthly membership fees ($19.95/month) and inner circle membership ($295/month). Suffice it to say that people who buy this membership are either advanced internet marketers who have absolute confidence to make a killing with MOBE, or rich affiliates with a massive budget to make it work. 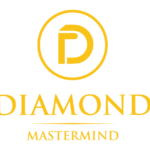 The Diamond MasterMind includes a long 10 days and 11 nights vacation, with intensive training on long-term business planning, product creation, advanced sales and marketing strategies by the smartest minds in internet marketing industry. A guest pass will set you back at $3,000 and if you wish to attend subsequent Diamond MasterMind sessions, you will have to pay $7,000 for every ticket. The Diamond Inner Circle Membership costing $295/month entitles you to monthly advanced business content delivered in both print and PDF formats, in addition to all the inner circle materials provided in the lower tier memberships. For every Diamond MasterMind that you sell, you make $10,000 commissions. If you manage to sell the membership without assistance from MOBE sales team, you make $13,500 commissions. $49 MTTB cost + $19.95/month membership fees + $29,997 Platinum MasterMind + $295/month inner circle fees = $30,046 up-front + $314.95/month. Not including advertising fees. $10,000/Diamond lead for assisted sales, $13,500/Diamond lead for non-assisted sales. 50% commissions for membership levels below Diamond MasterMind. Most MOBE reviews I’ve read online tend to focus heavily on the potential earnings of the system and conveniently leave out the hefty up-front investments required. If you are new to affiliate marketing and is purely enticed by the big commissions promised by other MOBE affiliates, I advise that you look elsewhere. While there are many affiliates making a killing out there with the MOBE program, they have a huge advertising budget to work with, or they are established internet marketers with a robust email list that they can market to. If you are solely relying on paid advertising to promote MOBE, you are going to face stiff competition and burn a hole in your pocket. Paid advertising takes a lot of A/B testing and a huge budget to work. However, if you have an internet marketing blog with decent traffic, a strong and responsive email list, or rich internet marketing experience under your belt, you may consider buying one of the MOBE memberships and start promoting it. Just keep in mind that the conversion rate for MOBE may be lower than expected due to the extremely steep prices, even with the help of dedicated MOBE sales team. I got involved with MOBE in my early days of internet marketing, when I was still struggling to make my first dollar online. Some of you may have read my story, but before discovering Wealthy Affiliate and started making money online, I was down $15,000 trying to make paid marketing work, among many other failed ventures. I purchased a $4,000 online marketing course (grossly overpriced, to be honest) to learn online paid advertising and CPA marketing (generating leads for affiliate products). In the next 1.5 years, I worked with various affiliate products, one of them being the MTTB and MOBE programs. I bought into a system called My Online Empires, which blatantly boasted how easy it is to make thousands of dollars commissions without huge upfront investments. The system directed me to the 21-steps MTTB system. Now, to make it clear, My Online Empire was a complete scam as it tried to hide the true nature of the business opportunity. It was created by a MOBE affiliate who only wanted to make quick cash online. Not knowing what to expect, I started to follow the 21-steps MTTB system, and I was assigned a personal coach to guide me along. I realized he was actually a salesperson when he tried to sell me one of the MOBE memberships in order to continue the lessons. Now, if you are in the midst of the MTTB system and your coach forces you to buy at least a Silver MasterClass, remember that you can actually reject it and still complete the 21 steps MTTB system. Keep in mind that the only requirement to become a standard affiliate is to pay the $19.95/month membership fees. You won’t get any commissions if your leads purchase a MasterClass or a MasterMind, but you can still get some commissions by promoting other MOBE products. My personal coach was a hard-core salesperson who forced me to buy at least a Silver MasterClass. He said there was no way I could continue the lessons without buying one, so I dropped out right away. Needless to say, I couldn’t get a refund for MTTB system. I’m not saying that all personal coaches of MTTB force their members to upgrade memberships, but I know some other people who had similar experiences. That’s why I wanted to write this review so you can have a realistic expectation of what’s coming your way. Would I have made a killing had I invested in one of the MOBE memberships? Unlikely. I didn’t have any experience to sell online, and I had limited advertising budget to work with. You need to send A LOT of clicks to this kind of high-ticket products for a conversion, and naturally you’ll need a sizable budget. Don’t be dazzled by the promise of huge commissions, but instead try to understand the initial investments required for each membership level, and what’s the earning potential of the program. Since then, I have seen other affiliates repackage MTTB and MOBE into different programs, such as 45 Minute Paydays, My Millionaire Mentor, Ultimate Dot Com Lifestyle, Internet Funnel System and My Internet Success Coach just to name a few. I’ve listed most of these as scams simply because they provided misleading information and promised huge commissions without any investments. As you should have probably realized, you need to commit rather big investments to make MOBE work. My final verdict remains the same – the MTTB and MOBE system are suitable only for advanced internet marketers who can work with a big budget. It is a matured platform with a lot of top internet marketers promoting it, so you will be facing stiff competition if you decide to be a MOBE partner. Furthermore, the extremely steep entry prices of the MOBE memberships mean that the conversion rate is much lower than other cheaper digital products you can promote off JVZoo or ClickBank platforms. You have to send a lot of clicks to secure leads who may purchase one of the MasterClasses or MasterMinds. This may not be an issue if you enjoy free organic traffic from an established website. However, for a relatively inexperienced affiliate depending mainly on paid marketing to generate traffic, it will be tough keeping up with the advertising costs, on top of the hefty investments on MOBE products and their recurring monthly fees. I do not recommend this to newbies who are looking to make their first dollars online, simply because the learning curve is too steep and the stake is too high. Again, if you are just starting out, I highly recommend Wealthy Affiliate as it provides a solid basis for building an online business, and it’s free to get started (zero risks). It is the program that helped me made my first real profit online, which is why I will always recommend it to my readers. Read My Review and Results with Wealth Affiliate Here. I’d love to hear from you if you have any experience with MTTB system and MOBE program, or any other online opportunities for that matter. Let us know in the comments below if you have any personal experience to share! The investments are gradual, and your coach is there to guide you through this, if you dont like your coach or they are pushy, request a different one, not all people are ment to get a long. MOBE is a ticket to entrepeneurship. That means taking risks and sometimes big ones to get to the level you want to be. Swimming with sharks is scary but also necessary to excel. I bet on everyone that every single millionaire took a risk to get where they are, but you have to start small and 60,000 dollars sounds like a lot to a small earner, but to a higher affiliate its peanuts, and to the bigger picture. Let me ask you all something? How much have you or are willing to spend on college tuition? For a bigger bill less certainty and another 9-5 job. My own mother is still in debt for 100,000 for a degree that she doesnt even work in that field. SOOOOo Risk/no Risk? Jump off that cliff, you wont regret it. Fear is the number one thing that holds EVERYONE back from making lotsa money. If you go through the steps like they recommend and invest the money and COMMIT then you cant lose. That is why they are pushy, because they are trying to get you to believe in yourself and make you KNOW you can do it. The people that back out of things bc there are too many obstacles will always have this problem, they wont be great, they wont be millionaires let alone surpass 100,000, because its scary, its just money people. it comes it goes, and it does in fact grow on trees if you believe it does, but your negative nancy attitude is only going to keep you right where you have always been,, BROKE ! and you will be fine with that because its comfortable and cozy there. SAFE. Playing it safe is not the definition of entrepneur., this is (a person who organizes and operates a business or businesses, taking on “greater than normal financial risks” in order to do so) You think a shark never took a big risk, think again, Everyone with something negative to say should stop trying to make it bigger, bc your just setting yourself up for dissapointment. You’ve all already accepted your own failure. Hey entrepreneur, thanks for taking the time to read and comment. You have made some valid points here, especially about taking financial risks to become an entrepreneur. However, the kind of risks you need to take is calculated risks, instead of being reckless and buying an online program at a cut-throat price when you can get the same information much cheaper elsewhere. You see, MOBE is sold at such a high price because it has a high perceived value. However, sometimes the perceived value and actual value don’t match. People think they will get rich quick using MOBE because it is being sold by that way. Just look at all the landing pages that lead you to MTTB program. Did the affiliates suggest that you can get rich quickly using the program? Did they show video clips of the rich life to entice you into buying the MTTB 21 steps program through their links? Did they disclose the upsells that you will encounter as you go through the 21 steps? How many people actually make money using what’s taught in MOBE? Ask yourself these questions and you’ll know if they have your best interests in mind. MOBE is like direct sales, where you make the bulk of the money selling MOBE to other people. Sure, you can use the internet marketing knowledge gained to sell other products, but when you have sunk thousands of dollars into the program, you don’t really have a choice but to sell the same high ticket items to other people. This is why I don’t recommend or sell MOBE and MTTB on this site. Sure it can make me a lot of money, but it’s just not worth it. Is there useful information in MOBE training? Of course there is. Can you get the same information much cheaper somewhere else? Bet you can. Then why are you taking huge financial risks when it’s not necessary? This a good insight, I has been hard to find a bias view on MOBE. Do you know if I can get the money I have spent on the 21 steps? I has only been $149 and I wonder if it comes with a 30 day money back! Hey Alan, if they haven’t changed their refund policy, you’d have to prove that you have completed the 21 steps before you can get your money back. Which means that if you did not purchase a Masterclass, it’s pretty much impossible to get your money back. I considered myself very open-minded to all opportunities. I like MLM, option trading, forex, anything. Invited to a free “workshop”, after a little suspicion, I paid the ~US$500 to join the 3 day course and 21 steps. If there’re 1-2 new skills I can learn, that price is a steal! However there’re still days to start, I only ran through up to step 2, and I decided to dropout this programme, like how Matt dropout his school. Time better spent elsewhere. I believe it may generate quite some money, if I consider myself able to be one of the top masterminds. In the end of the day, there’re things that even we know would be quick win, but we’d just drop it and rather go other hard/slower ways, to align to our own values and purpose. Firstly the risk and return. If you pay attention to a slide in step 2 which appear just a few second, only very few people achieved 100K+ commission. With no specific units/duration mentioned, from my experience I know these marketers is talking about “life to date” total commission, not annual, not monthly, not daily, and not yet the profit! Assuming the slides may be dated but the biz should had been running for years when these video last updated… Good Luck to those Platinum and Diamond members, most of them would never breakeven from this track record! (upfront + monthly fee) The result is just pathetic! I try to believe that Matt is painfully honest but not poor in maths or lazy to update the courses. Even in all sales pitches, the target return they promoted (upto 100K annual) is also aiming too low to consider financial freedom. What they celebrate the commission payout, are mostly quite shamefully little. I thought they want to convey it more layman so newbies can easily accept and close sales, in fact the more I understand, the more I believe most MOBE teams consider annual 100K a challenging target. Any MOBE mastermind here, correct me if I’m wrong. On the products, what value received by Titanium, Platinum, Diamond, etc, are back to old school. If you’re experienced in investment and business, you don’t need them to tell you what’s new. What? Paying Platinum to learn stock, rare metal commodities, real estates? Only for people who seldom dip into investment or seldom care/read/learn/observe how business run, would be attracted by those “values”, i.e. if they’re rather junior employees. For those in the circle and seasoned professionals, they’re probably just after the money and not the value. Not to say how many of them really achieved that lucrative commission! In step 1, I was introduced to a few videos, market place, etc. All the course setup look really mediocre, poor author avatar, extremely brief synopsis and most courses with just 1 section, impossible to know what one would take away from them, and some are charging around 2K. Most people didn’t even pay much effort to brush it up as comparing to e.g. Udemy. One may need to be Diamond Mastermind (read https://mobe.com/diamondmastermind) to create these junks… This is not an organic e-learning market place, just an empty shell, expensive craps. In the market place, MOBE offer a service “We Sell Good Traffic”, expensive and likely Standard or Silver members whose sponsors not upgraded yet? Afterall I believe their business is sustainable (for Matt) and won’t collapse like Ponzi or pyramid schemes. (So all mastermind can stay calm for the moment…) If there’s no sales, there’d just no commission payout, and some layoff, that’s it, no risk. So strictly speaking, it is a sound “Economic” as Matt teaches. Good, he practices what he preaches. If you think you can make how much in MOBE, I’m sure you can earn the same or more in other internet business, with the same amount of time immerse in proper education, just a lot cheaper and risk free. Thank you heaps for this blog/article. I joined the 21 steps and scheduled 2x calls with my MOBE coach… I also got email galore with confirmations reminding me about the upcoming call… I had rearranged my whole day just to wait for a stupid call that never came. I rebooked again.. same thing happened… email galore with confirmation of the upcoming call… and nothing. For me, first impressions last.. so I emailed the support team to cancel my membership with MOBE before they charge me for anything else because I wasnt happy with the service. 2 days later i was charged $40USD and in NZ dollars that like $60NZD. They asked if i wanted a refund.. i said yes… then they said i couldnt get my refund… like WTF!!!???. So I sent them a nice colourful email to refund me back my money. After a week of “chaos” (Im sure i need a new keyboard after all those emails I had sent them lol) – they finally refunded me back my money. Not impressed at all. I started mobe about 2 weeks ago and I am new at all of this. Not sure if I am liking all this stuff with mobe. They want me to pay more to move on to the next step. I dont have that kind of money. From what I have been reading from all the comment I think I am just going to stop doing mobe. I just want to say thank you all for the comments they were alot of help in what I need to do. After you became experienced and began to earn some sells, why didn’t you promote MOBE product then? Why does The Wealthy Affiliate cost $49 monthly and what is the track record of newbies actually earning money with their startup business? Hi Andrew, it did cross my mind to promote MOBE using the traffic I have now and I could’ve potentially earned a lot more. But ultimately I don’t agree with the business model of MOBE, and the transparent nature of Wealthy Affiliate suits me much better. This guy might not be a complete newbie, but it’s just to show how the training translates into results. I have just finished their 3 days Home Business Summit and like to share my experience so anyone who is still researching have more information to go by. We were told that what we were going to learn can be applied to our own business, but there was not such taught on internet marketing. The bulk of it was about selling MOBE products. The first day they were pretty interested in my attendance. Once I made it known to them that I couldn’t afford the program they made no further effort to approach me even though I have put my name down to see one of the success team. I selected a really early time slot too and for the whole day no one came to get me for the “interview”. By this time I had the money sorted and was able to purchase one of the program. The only thing that held me back was the monthly cost of running the MOBE business model. Good thing that they didn’t approach me. Have you managed to stop the recurring payment? Hi Elizabeth, your experience is pretty similar to mine, where the coach locked the rest of MTTB steps if you don’t want to purchase the MOBE license. I’d say if you are not ready to shell out a lot more money (thousands of dollars) down the road for online advertising (such as PPC and PPV) it may be not suitable for you. Unfortunately your coach won’t reveal that to you until much later. So the decision is yours, but since you are a total newbie I’d highly encourage you to get started with Wealthy Affiliate instead, where there’s no financial risks involved. It really is alot of investment for these products and I don’t like the ongoing subscriptions. I was part of a high ticket company, and if you can sell people on the lifestyle, and the fact they NEED the higher ticket products to be successful – then you will get sales. But it becomes a numbers game also. You need to know how to market, and market well, and like you said, experienced marketers have the knowledge and the budget for it. A lot of it comes down to “selling the dream”, aka selling the promise of a good life and big commissions. But first you’d have to do a reality check – do you have the experience, skill and resources to make it happen? This sure was a comprehensive and thorough review but as someone said in a previous post, I don’t really look up to “pay me so you can promote my product” programs. I’ve seen some other recent models even tried one and it left me a bad taste. But you’re right though, if these programs still exist, someone must make money with them, otherwise, the www. would be flooded with complaints. I cannot believe they have upsells up to $64,000!! I for one, don’t even like the monthly price tag. My way of thinking is, if it is a legit business, then maybe a small up front cost for legitimate materials or information, but not a monthly unless you are getting a lot in return, such as with WA. And yes, this definitely looks like something for someone who has a big budget and can afford to gamble on it. What you put in is what you get out. Although MOBE and MTTB do seem to give you solid payouts, that investment is a tad high. Especially because it seems to me that their core audience is more in need of income, not really ready to spend even the 19.95. Do they let you back out at any time? seems to be a lot of loose ends, but this is on my radar. Thank you! Hi Joe, agreed, most of the people who are introduced to MOBE and MTTB can barely afford the initial $49 for MTTB, let alone paying thousands of dollars for MasterClasses. This is one of the reasons why the conversion rate is so low, and it can be very tough for MOBE affiliates who spend a ton of money marketing the products too. I think the prospect of selling things for $10,000 and up would be very enticing to someone who’s making a six – figure income online. I think the explanation of MOBE is very detailed and honest, which is a good thing. I also like the reference and links to WA. There’s a lot of financial potential here. I must be honest, I’m a little overwhelmed with so much information. I couldn’t take it all in. I imagine a program like this has a very narrow target audience, the average affiliate can’t afford this. I certainly can’t. But I am curious – for the affiliate who does have the money, what are they getting? What does MOBE offer that’s better than any of the other hundreds of affiliate and MLM marketing platforms out there. I don’t get a sense of the actual benefits. I”m also wondering how quickly someone would see a profit from being a member of MOBE. If someone is spending that kind of money, I’m guessing they would want to know they’re going to see a fairly quick cash flow. Do you have any testimonials from people who’ve sold MOBE? MOBE is a luxury program, so they organize their MasterClasses at travel locations that tend to attract high profile affiliates. They also have a “free” Mercedes for affiliates who can hit sales quota consistently, so this becomes another selling point for this group of affiliates as well. With that said, if you have the resources to send thousands of targeted clicks to their offers, you may be able to see first commissions within days or weeks. Of course, with expensive programs like this, you could be spending hundreds of dollars on traffic without seeing any results, which is why I don’t recommend it to the average affiliates at all. I’ve known affiliates who achieve 0.3% conversion rate for MOBE license, and that’s by using an established email list with targeted audience. I’d imagine paid advertising like PPC will have even lower conversion. Not sure why someone should have to pay to be in an affiliate program. I don’t think that makes any sense which is why I say this is a huge scam. You can get paid affiliate commissions from Amazon or a clickbank and be charged nothing to start, why on earth would anyone pay to be in an affiliate program? Because they want to sell that to other people, so in other words you aren’t selling anything of value. Just the “opportunity”. Yes, the whole selling point behind MOBE and MTTB is the POTENTIALLY huge commissions that can come your way. Unfortunately most people underestimate the skills and resources required to make money from big ticket items like this. I agree with your thoughts that both of these systems are really for advanced internet marketers. I think the costs of investing in either of these programs is too high for most people. You have to really be willing to dedicate a lot of time to get the payback. I always wonder if these types of programs are scams because they make you buy in at such a high cost, but don’t always give the benefits that you’ve been dreaming up – mostly in terms of monetary payback. I find that it would be very tough for me to keep up with the monthly cost when I don’t have a lot of traffic (although the program seems to imply that it can help with that). I’m a cautious person with my money, so maybe it’s just me. Thanks for offering your insights on both of these programs! Wow, that program smells like a SCAM and I guess it’s not entirely, but it sure smells like one. It seems that a lot of money is going somewhere. I’m surprised that you think it’s worth it for advanced internet marketers? It would seem to me that once you’ve got the basics that you can advance yourself without paying those exorbitant fees to be part of a somewhat scammy organization. Thanks for the insights Tucker! I know there are some super affiliates earning a ton with this kind of big ticket items, but then again it’s up to individuals whether to promote somewhat controversial products like MOBE and MTTB. I do agree that you can get pretty much everything you need from Wealthy Affiliate. Edward, this is a great, in-depth review. Since I never heard of this, I read every word and and you make it easy to develop some real insight into this. First of all, it almost sounds like a financial cult, with 21 steps and “inner circle” membership levels. However, you are right in that if you have some extra money to invest and are already a seasoned marketers, this may create another income stream. I sure do like the commission schedule. Thanks for the information. Hi Warren, glad you found it helpful. Unfortunately most business opportunities on the internet are “close-door programs”, where you need to pay the entrance fee to find out what’s really inside. That’s why I always appreciate programs that are more transparent in nature and honest in their approach. Well t is a legitimate system for making money as you point out, but again as you point out this is really mainly for advanced internet marketers – mainly ones who have already built a proven recipe for online success, and have a big budget they can work with. Also i feel that the products are not as good as the likes of click bank which are cheaper with better commission levels for me. But anyway thanks for sharing this article, i now have a much better Idea of this MOBE system so i will consider this for future networking. Thanks for dropping by Marley! Great review. I have always been interested in some of these online training programs that are super expensive and boast the world. It always makes me leery, but you seem to have good things overall to say. I am wanting to one day sign up for one of these so I can continue to grow with my online business as well! Someone mentioned it to me on social media. He had just sent me a friend request and soon as I accepted, he pushed it on me. I think it was one of their affiliates. He told me to go for the $4,000 course too as it was the best and the easiest to make money with. I’m happy I landed here in time. I should go and unfriend him as he was misleading me, I will be using your recommendation wealthy affiliate. It seems much better than MOBE. Thanks a lot. Hi Dave, that was most definitely an affiliate of MOBE. It’s mostly the hard-sell and deceiving affiliates who damage their branding, honestly. Hi. Sometimes it is not so bad nit have a lot of money. Since my budget is low, I couldn’t purchase membership of any level even if I wanyed to. There is one thing I can’t understand. What is the point in buying something that is neither a product nor a service. I mean, you don’t gain anything by buying it, except for the possibility to sell it to someone else. Isn’t that a Ponzi or pyramid scheme? Is it legit in the first place? Well, thank you very much for an honest and detailed review. Wish you much success in your endeavors. It does qualify as a product since it’s a training program, however I think it’s hugely overpriced because no one really buys the masterclasses to learn stuff. They buy it hoping to make a lot of money by selling the license to other people. Unfortunately most members don’t know about the real investments involved until it’s time to pay up. When I hear that a making money program cost thousands of dollar, I cannot continue reading. Even if I could afford, I am sure that there are better ways to invest so much money. Anyway, I like to start with a low budget while I do all the hard work. Wow! This is a really detailed and in-depth review. Thank you for being completely neutral and not being to biased or unbiased. I trust that you are giving me very valid information and are not just trying to get me to sign up. However, I think I will definitely consider signing up. Glad you found it helpful. If you have the resources to invest in the masterclasses and run online ads, it may work out very well for you. Good luck! Thanks for the extremely detailed article! I’ve been looking for a neutral and in-depth review for MOBE and you have helped me make a decision. Hey Josh, glad you found it helpful. What was your final decision? The costs are way higher than I first thought, since I didn’t think know about the big purchases and recurring fees. And definitely not the potential advertising fees that can go into the thousands. I’ve decided to try out your recommended program since it’s free and helped you get results.